Building new, effective habits can be hard. That’s because we naturally resist change. Instead of going to the gym, we binge-watch TV shows. Rather than eat a salad, we raid the office candy supply. Despite our best intentions, these are the sorts of patterns we tend to fall into. Goals worth achieving are typically difficult to attain. That’s part of the issue. Another is we sometimes lack the knowledge and tools required to help make new habits feel automatic. The key is finding ways to do things easier and automatically, until our old habits become distant memories. This principle is key to getting organized (and staying that way for the long haul). And that’s exactly what you’ll learn to do when you join the Marketing Strategy Certification course by CoSchedule. So, What Is This Marketing Strategy Certification Course All About? The course is broken up into five lessons, each covering a different part of the long-term planning process. Each lesson includes a worksheet (plus free bonus guides and templates) to help you plan a lean and actionable marketing strategy. When you’re finished, you’ll have a fluff-free documented content strategy and marketing calendar to keep you focused and organized for an entire year. How to set overarching marketing goals that your content efforts will support. How to plan which types of content you’ll create (and never run out of ideas). How to keep it all organized on one calendar throughout the year. Three live-action workshops taught by our own Jordan Loftis and Emma Tupa. A private Facebook user group to discuss the course content with other current (and past) students. If you’re new to CoSchedule, we’ll hook you up with an exclusive free 21-day trial. And What Am I Going To Learn? So far, we’ve given you a high-level summary of what this course has to offer. Next, let’s take a deeper look at what you’ll learn. You need goals before you start creating content. The first lesson in this course is devoted to determining which goals and metrics are most important for you. You’ll also establish which high-level business goals your marketing efforts are meant to help achieve. Once you know why you’re creating content, you’ll need to know what content to create. Sometimes it’s hard to know where to start. If you’ve been creating content for a while with mixed success, you might want to know how to do more of what works best. If you’re beginning from scratch, you probably feel even more overwhelmed. After all, there are so many different things you could create, share, and talk about. How do you choose which ideas to pursue and which channels to use? That’s what we’ll figure out in this lesson. First, you’ll learn how to use Google Analytics to discover your top-performing content. With that data in hand, you can note what that content has in common, so you can create even more high-performing stuff. Then, we’ll move onto social media, determining which platforms you need to be on (and what to create and share so you don’t end up throwing in the towel by September). No one likes staring at a blank page. Marketing requires constant creativity. You need fresh ideas all the time to build and retain your audience. That can be a lot of pressure, especially when you need to sustain a consistent schedule for a full twelve months (and beyond). That’s where this convenient brainstorming process comes in. After your goals are set and content strategy is established, it’s time to get down to brass tacks and decide what you’ll actually create. Following our three-step process, you’ll be able to easily generate a month’s worth of ideas in under an hour. Repeat that once a month, and your content calendar will never be blank. 10 minutes of throwing out ideas. 10 minutes of scoring each idea. 10 minutes of narrowing those ideas down. Once you’ve talked through all your ideas with your team (and dropped them onto your calendar), you’ll likely find you’ve spent about an hour total on ideation. You’ll also probably notice the quality level of your ideas is higher than it would be struggling on your own or simply waiting for inspiration to strike. One of the most common questions we get asked is, “When is the best time to publish [INSERT TYPE OF CONTENT].” Another variation we frequently hear is, “Do you know the best times to post on [INSERT SOCIAL CHANNEL].” You might even be wondering how much email you should be sending. You can stop wondering. After this lesson, you’ll know. Even better, you’ll be able to act and start scheduling content the best way. This is what it all comes down to, right? In the last lesson, you’ll build a real marketing editorial calendar you can actually use. We’ll walk you step-by-step through the process of creating a calendar yourself in Google Docs (or you can use the included template). We’ve written blog posts on how to create content calendars before. Quite a few of them, in fact. However, what this course offers is context for how to use a calendar effectively as an integrated piece of your overall marketing strategy. When you have content that’s connected to your goals, all mapped out in one place, your calendar becomes your central planning hub. It’s your main point of reference to see everything you’re working on, giving you a high-level view of what’s going on. Blog posts. Social messages. Email newsletters. You can even add podcasts, videos, brochures, events—literally anything you’re working on can (and should) go on your calendar. And this is what’s key to keeping yourself (and your team) organized for an entire year. The centerpiece that holds everything together. If this sounds good (and we hope it does), the next step is to register by Tuesday, July 25, at 11:59 p.m. CT.
A lean and actionable year-long marketing strategy in just two weeks. This course won’t just give you information and leave you on your own from there. It provides the templates you need to develop a simple strategy focused on helping you stay organized while executing great marketing. It won’t detail everything you could possibly plan out; rather, it’ll give you just the pieces you need to get to work without wasting time. A real calendar you can put to use. We’re big believers in content calendars (and we should be, considering we’re a content calendar company). If you’re curious what kinds of results an organized calendar can help you achieve though, look no further than us. Our blog receives 1.3+ million pageviews a month, our email list has 190,000+ subscribers, and our 120,000+ strong social media following grows every day. Everything you need to succeed. 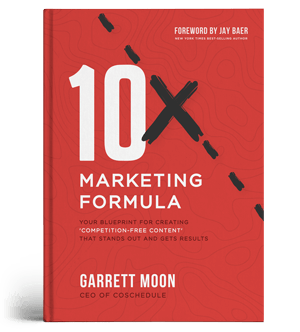 With more than a dozen additional bonus templates and guides, you’ll have a complete toolbox for marketing success. To cap it all off, course registrants will also get a free 21-day CoSchedule trial. That way, you can use our software free if you’d prefer it versus a spreadsheet (and we’re thinking you probably will—we eat our own dog food here, and we wouldn’t consider working without our own all-in-one tool). And you’ll be able to make “getting my content organized” one habit you won’t break. 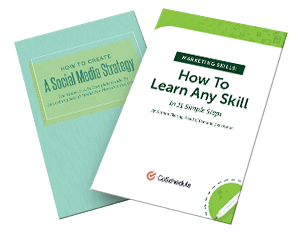 Get certified with this FREE marketing strategy course from @CoSchedule!